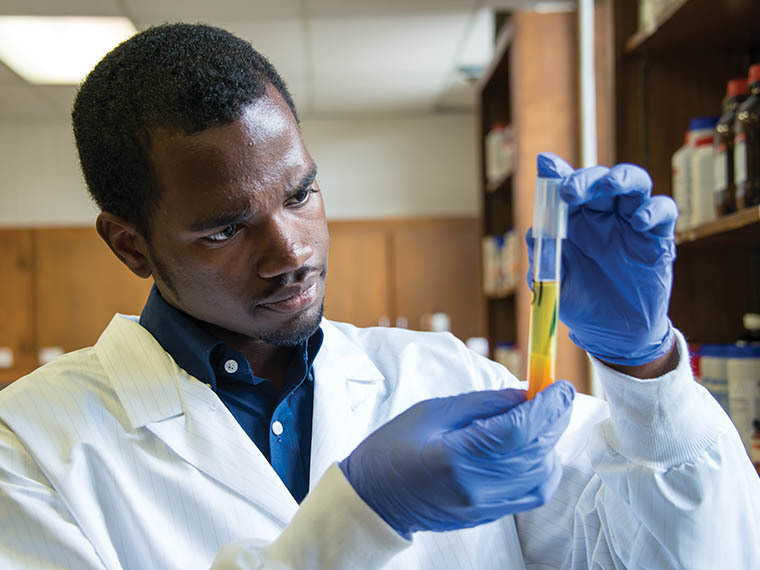 Malcolm Brooks, double-major in food science and economics, began this semester as an undergraduate research scholar under the direction of Dr. Taejo Kim, assistant research professor in the Department of Food Science, Nutrition and Health Promotion. Malcolm will assist Kim in researching new methods for detecting foodborne pathogens. He said his participation in organizations such as the Food Science Club and the MSU Food Science Quiz Bowl also inspired him to delve into research.